Miamians love to run. Whether it’s to work, to dinner, or to a club, the 305 knows how to hustle... but that’s not necessarily by choice. Fighting a little demon called “Miami time” is a very real struggle we face daily (anything to avoid those judgmental looks from our out-of-state loved ones, right?). But what about running... for leisure? 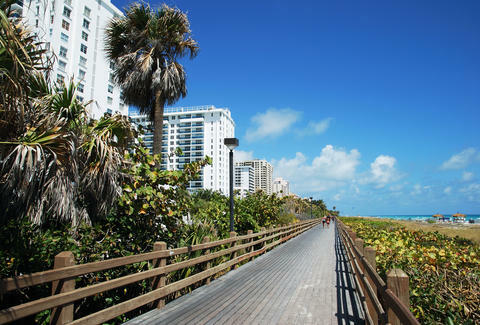 Miami’s tropical paradise happens to be one of the prettiest places to run in the nation. 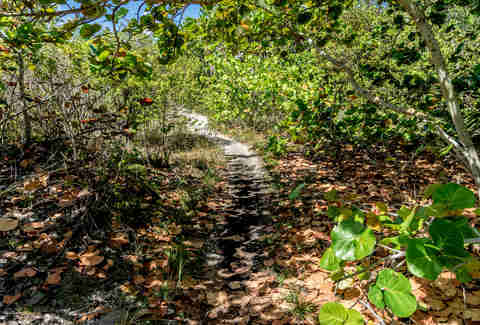 From barefoot runs through the sand to long treks inside lush, canopied parks, Miami’s got something for every level of runner. As temperatures cool, take a breather with one of the greatest cardio-inducing, stress-relaxing outdoor activities the Magic City has. It also happens to be completely free. There’s nothing more satisfying than an ocean breeze to cool you down during a run. From 23nd St up until 46th St, people-watch as you journey through the land of mega hotels, delicious restaurants, and busy sidewalk enclaves. If you’re a seasoned runner, continue down to South Pointe Park on 5th St, which features unparalleled views of Miami’s coastline. The distance between 46th and 5th is about 4 miles, so plan accordingly. South of Downtown, Key Biscayne is a welcome escape from the everyday craziness of Miami. 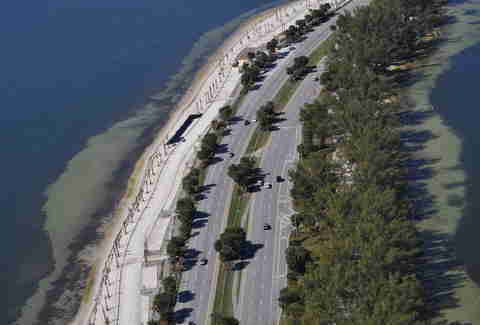 Score some quiet with a run over and beyond the Rickenbacker Causeway, connecting the mainland with the island village. Snag 360-degree views of crystal clear ocean water as you journey 3.1 miles from the bridge to Miami Seaquarium. If that’s not enough, go another 2.7 miles to the end of Crandon Park. With about 14 miles of recreational trails, Oleta River State Park is Florida’s largest urban public green space. Access the park on 163rd St and find a 3 mile running loop equipped with lush tree canopies to keep you shaded. It’s the perfect trail to make you forget you’re actually in the middle of one of the nation’s biggest metropolitan cities. Most trek north to Aventura for its luxury mall. But there’s also a great run. Behind the shopping center, find a 3.1-mile exercise trail circling the Turnberry Isle Golf Course. Fit for walkers, joggers, and runners, the trail gives you a look at suburban life in Aventura and is casual enough for beginners, but just long enough for intermediate runners. Compared to other routes, Long Pine Key near Homestead is out of the way (it takes about an hour to reach from Downtown Miami). However, make note: It’s worth it. 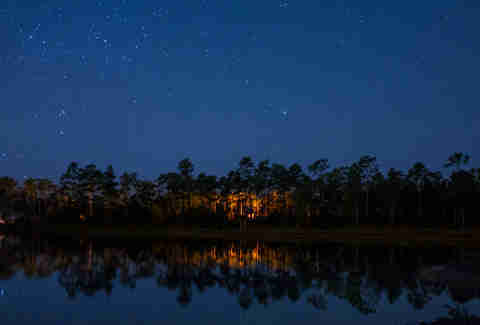 The trail journeys about 6 miles toward the pinelands, giving runners the kind of quiet Miami will never have. It’s unpaved so most of the run is through open greenery. Try to avoid running in the late afternoon, as it’s a hotspot for mosquitos. 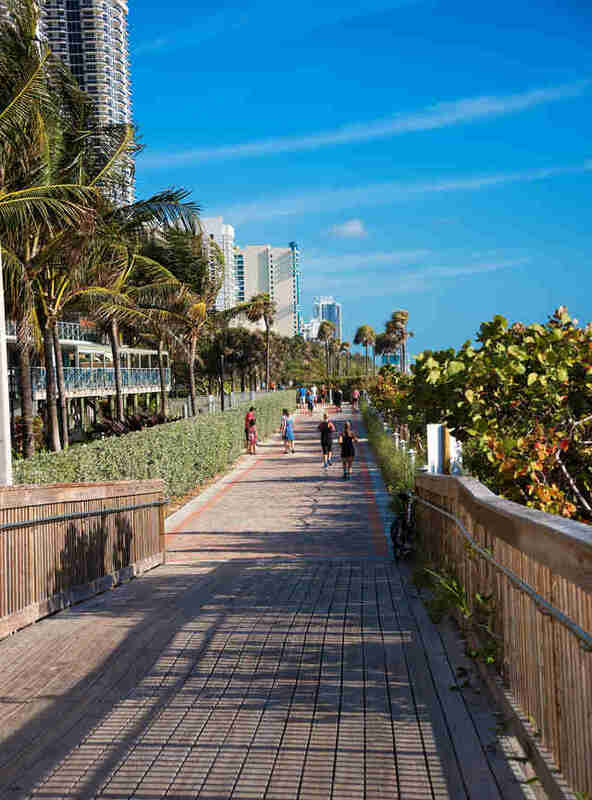 Though it’s still under construction, get a first-hand experience of the Underline with a run starting in Brickell that heads south through the US1 corridor. Most of it is in the shade because it lies directly under the Metrorail line, which is a gift compared to other trails in Miami. Begin your run from the Brickell station and head north up to 9 miles to the Dadeland South station. There are no bathrooms or water fountains along the route, so make sure to come prepared. For the more adventurous, score 8 miles of lakeside mountain bike-style trails. Immerse yourself between large trees, dense greenery, and rocky paths. Run with caution and at your own risk. Most of Amelia Earhart’s trails are designed for mountain bikers. Clarissa Buch is a food and culture writer who justifies eating sweets with insanely long runs. Follow her foodie-adventures on Instagram and Twitter.